Talk Nerdy To Me: Mmmmm...cookies! Kai's already getting some experience in the kitchen so he can be a super chef like daddy. 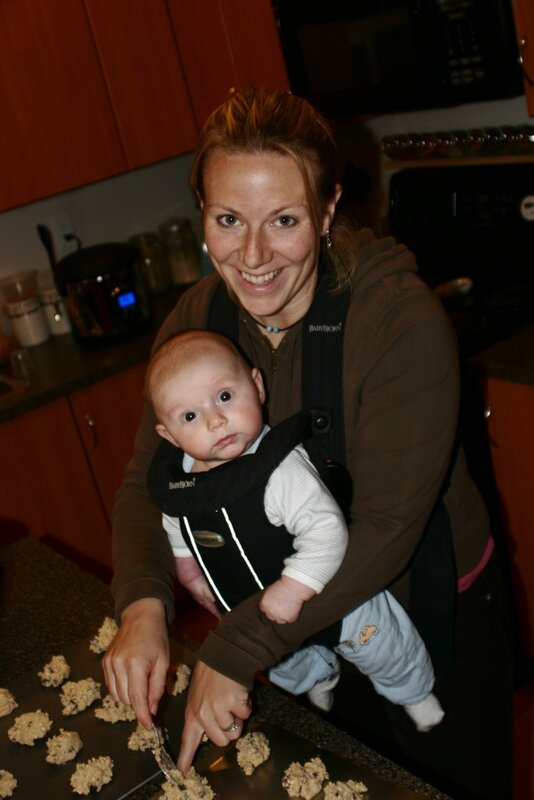 Notice that his hand is helping to guide mine...kind of:) Today `we' practiced some math while we doubled a recipe. Good times. Nice pictures... I saw Gary picking up pizza on Friday night but didnt say hi. Sorry! Have a good day.